Operated throughout Australia, Powerball one of the world’s most popular lotteries that is popular amongst American players is also available in Australia. Powerball is famous for its record breaking jackpots and changing the lives of many jackpot winners since its launch in March of 1996. Powerball is a lottery operated by New South Wales Lotteries in New South Wales and the Australian Capital Territory, Tattersalls in Victoria and Tasmania, Golden Casket in Queensland, the South Australia Lotteries Commission, and Lotterywest in Western Australia. The new Australian Powerball since march 2013 draws six regular numbers from one pool of 40, with the Powerball drawn from a separate pool of 20 numbers. The highest Australian Powerball jackpot was A$33 million; most jackpot wins are not shared by multiple tickets. However, there are major differences between the Australian and American versions; in the US, a ticket automatically wins by matching the Powerball (the American game has 39 Powerballs) while in Australia three numbers are needed (three of the five regular numbers, or two plus the Powerball.) The American jackpot is annuitized (with a cash option) while Australians winners always collect in lump sum. American lottery prizes are taxable, whilst there are no taxes collected on Australian Powerball winners. Still another difference is that all Australian Powerball prizes are parimutuel, versus fixed prizes on American non-jackpot prizes. The host of Australian Powerball drawings is Troy Ellis, with the draw broadcast on television when the Division 1 pool is at least $15 million. The game was revamped on 1 March 2013; it will draw six regular numbers plus a Powerball. This will allow the introduction of an 8th Division (two main numbers plus the Powerball). 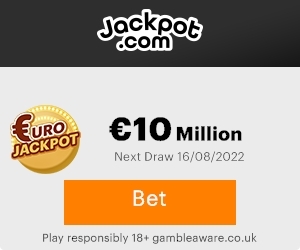 Other changes include an increase of 10c per play, and the introduction of an option (QuickHit40) which will “wheel” the 40 Powerballs although not guaranteeing a prize. The game is administered by Tattersall’s, and syndicated to all states through the Australian Lotto Bloc. Draws take place on Thursday nights, with the first draw held on 23 May 1996. Each Powerball game costs 75 cents plus agent’s commission, with most states requiring standard games be bought two at a time. Powerball uses two barrels to determine its winning numbers: six numbers are drawn at random from a barrel of 40 (standard winning numbers), then one number, the namesake Powerball, is drawn at random from a separate barrel of 20. To win first division the player needs to have all six numbers in their game as well as select the correct Powerball. For coupon entries; the Powerball is selected in a separate box to the winning numbers. In an automated pick a computer randomly allocates the player six numbers as well as a Powerball for each game line. Systems entries are available on Powerball, however only one Powerball is selected for a standard system entry. Players can also purchase an entry that guarantees the Powerball for a game entry – this costs the same as playing 20 individual games. This is known in New South Wales and South Australia as “Power20”, in Queensland and Tatts’ states as a “PowerHit”, and in Western Australia as a “Powerpik”. System entries and guaranteed Powerball options can sometimes be combined. A major difference between Australian Powerball versus the US game is that the latter was created in part to allow a player to win by matching only one number, if it is the Powerball. Also, while US Powerball prizes are taxable, its players do not pay agents’ commission, so wagers are always a multiple of US$1. Powerball’s largest jackpot prize to date is $80 million, which was shared between two tickets (in Victoria and New South Wales) on 30 July 2009. Wednesday 22 May, 2013 – It’s the story of a Powerball ticket worth $2 million that has been jet-setting around the world for three weeks, while the owner had no idea how valuable that piece of paper was in her wallet! In the Powerball draw on 2 May a total of 16 millionaires were created and shared in a division one prize pool of $62,055,383.40 with one Sydney winner claiming $31 million, and a syndicate of 15 Melburnians scooping $2 million each with their Powerball entry. The jet-setting Melbourne mum was one of the 15 players who purchased syndicate shares from Southland Lotteries, Shop 3038 on Level 3, Westfield Southland in Cheltenham who claimed $2,071,012.92 each. The winning numbers in Powerball draw 885 on 2 May 2013 were 34, 37, 23, 10, 4 and 39 and the Powerball was number 20.